The majority of young mobile users have a financial app more popular than news, sports and health/fitness apps. Millennials’ frequent use of mobile devices is reaping financial benefits for them, according to new research. 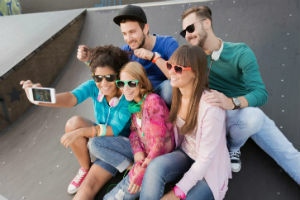 “The millennial generation is leading the charge in terms of adopting new technologies and integrating them into their everyday lives, and as a result, are relying on their mobile devices more than ever before to complete day to day tasks, particularly when it comes to managing their finances,” says Tatiana DaCosta, head of Online and Mobile Banking Canada, BMO Financial Group. DaCosta noted that financial apps are rapidly evolving to not only provide Canadians convenient access to their personal finances, but also represent an alternative and effective money management tool. 82 percent pay their bills on time more often.